We offer the nearly complete variety of modern dentistry. It is our main aim that your visit to our office is as pleasant as possible. 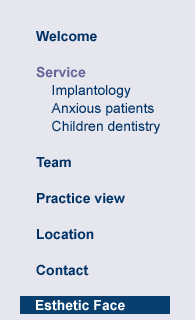 Beside the concentration on implantology and on the solicitous treatment for patients and children who experience anxiety, we direct our attention to an extensive consultation and an individually adapted prophylaxis. Even after years you should be convinced of our high quality work.